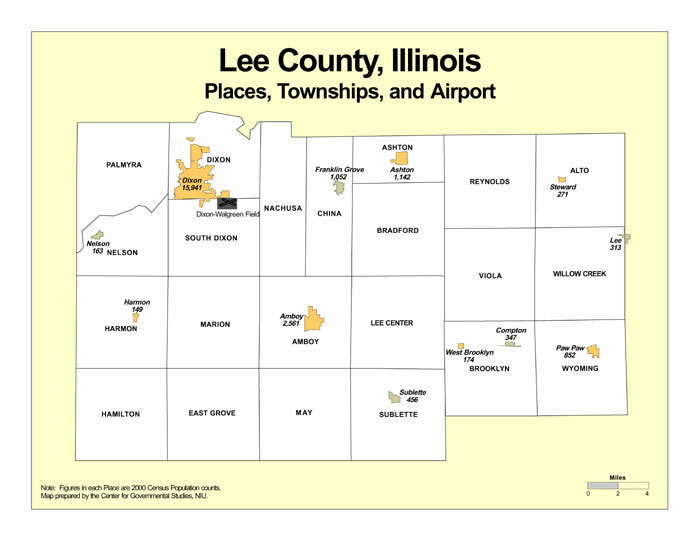 Lee County is located in the U.S. state of Illinois. Its county seat is Dixon. The county was created on 1839 and originated from Ogle County. The name of the county comes from Lighthorse Harry Lee. The links directory provides suggestions for a variety of websites to assist in your family history and genealogy research. Towns and townships: History of Ashton Twp. Towns and townships: History of Bradford Township, Il. Towns and townships: History of Brooklyn Township, Il. Towns and townships: History of China Twp. Towns and townships: History of Dixon Township and City, Il. Towns and townships: History of East Grove, Il. Towns and townships: History of Harmon Township, Il. Towns and townships: History of Harmon Twp. Towns and townships: History of Lee Center Twp. Towns and townships: History of Marion, Il. Towns and townships: History of May Twp. Towns and townships: History of May, Il. Towns and townships: History of Nelson Township, Il. Towns and townships: History of Palmyra Twp. Towns and townships: History of South Dixon, Il. Towns and townships: History of Viola, Il. Towns and townships: History of Willow Creek Township, Il. Towns and townships: History of Wyoming Twp. Towns and townships: History of Alto Township, Il. Dixon Sectional Map-Illinois Central Railroad Company, 1856? Biography of Anna A. Perkins, M.D. Biography of W. R. Vrooman, D.D.S.